Recently, I caught a fantastic American Masters documentary about the legendary Mel Brooks. The movie chronicles his entire impressive and lengthy show-business career, and offers a lot of the behind-the-scenes insights that I always enjoy learning about. This, of course, sent me through a re-watch of some of Mel’s film highlights, including his Hitchcock-inspired “High Anxiety” and the beautifully executed “Young Frankenstein,” just to name a couple. 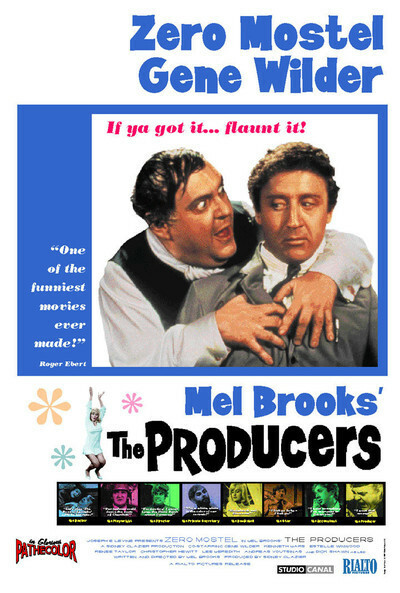 While I love a lot of the Mel Brooks movies, I don’t think any of his later films quite match up in quality to his 1967 Academy Award winning debut, “The Producers” (and its subsequent musical adaptation). Given my fondness for the aesthetics of the awful, I’m admittedly a bit biased here: the plot of “The Producers” is about creating the worst play of all time, so of course that is up my alley. Coming from a place of affection for “The Producers” and Mel Brooks, I want to analyze the baffling success of the film’s fictitious Broadway blitzkrieg: “Springtime for Hitler.” Hang with me here, this could be interesting. In “The Producers,” the lead characters are attempting to craft a genuinely bad play, which should be a fairly simple task in theory. So, the question is: how did Bialystock and Bloom stumble into the elusive realm of the “good-bad” aesthetic? First off, it helps to understand the accepted contributing factors to “good-bad” status. It has been alleged that one cannot intentionally create a “good-bad” feature, because one of the most widely accepted requirements for the pseudo-genre is a healthy degree of earnestness. Basically, in order for a movie or play to be “good-bad,” it needs to have honest and genuine effort thrown into it by at least a healthy number of the cast and crew. Thus, trying to intentionally capture the “good-bad” aesthetic is impossible (or is it?). I believe that “The Producers” actually stumbled across a fascinating way to intentionally create a good-bad work, even though that isn’t what Bialystock and Bloom set out to do in the movie. As mentioned previously, earnestness is absolutely key to the good-bad aesthetic. In most cases, an attempt to create something awful will lose that all-important creative honesty. However, the plot of “The Producers” skirts around this roadblock: the only two characters who are in on the plan are the eponymous producers, who are not part of the hands-on creative team. Their influence on the play is limited to the assembling of the pieces: they are shown selecting the director, the script, and the cast, for instance. That means that the creative team of “Springtime for Hitler” is unaware of the dishonest motivations of the production, and are therefore earnest in their efforts with the play. While earnestness is a major key in creating a good-bad feature, there is more to the success of “Springtime for Hitler” than that alone. After all, earnestness is essentially atmospheric, and doesn’t guarantee entertainment value. For that all important entertainment value, most good-bad movies rely on the actors. Sometimes this is achieved by over-the-top performances (like Nicolas Cage’s in “Vampire’s Kiss” and “The Wicker Man”), other times it may come from astounding underacting (as is found in “Birdemic”). Or, best of all, the acting can provide a peculiar mix of the two, as was the case in “The Room,” which features a cavalcade of simultaneously emotional, intense, and completely vapid performances. 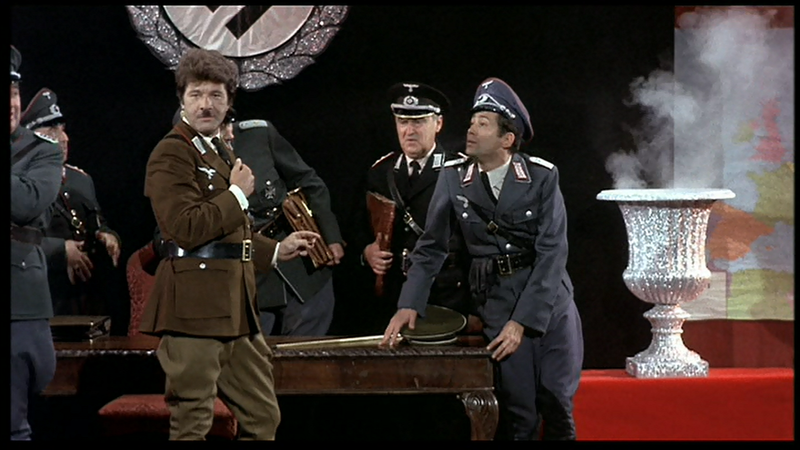 The cast of “Springtime for Hitler” is one of the few things that significantly varies between the initial film version of “The Producers” and the later musical adaptation. They both function more or less the same way and lead to the same ultimate result, but the differences are worth pointing out. In the initial film version, Hitler is played in “Springtime for Hitler” by a hippie named Lorenzo St. Dubois (LSD). He apparently performs while drugged out of his mind, and improvises most of his dialogue (to the intense disdain of the play’s author, Franz Liebkin). However, his performance is what turns the audience around: before he takes the stage, the audience has already started parading out of the theater in disgust. Once he gets going, however, his baffling exploits quickly win over the crowd. Adding a cherry on top of the performance are the antics of the infuriated Franz Liebkind, who takes to the stage in a fit of rage while clad in his German army helmet. The audience mistakes this for part of the surreal act, responding with immense applause. In the musical adaptation and subsequent film, the character of LSD is cut from the story. Instead, the writer of the play (Franz Liebkind) is initially cast as Hitler, but is injured before opening night. The director, Roger De Bris, takes over the role or the great dictator for the show. The play goes much the same way as in the initial movie, with the audience storming out just before Hitler takes the stage. Instead of drugged improvisation, De Bris wins the audience over with flamboyant innuendo and comedic song and dance (“Heil Myself”). I personally think that the De Bris Hitler version works better for the film by eliminating an unnecessary and light character, but the LSD version is certainly more surreal. In either case, the curious and hilarious performances of the leads wind up providing the entertainment value behind “Springtime for Hitler”, and save the play from the dull fate that it seemed all but doomed to. They make the final difference between bad-bad and good-bad for “Springtime for Hitler”. 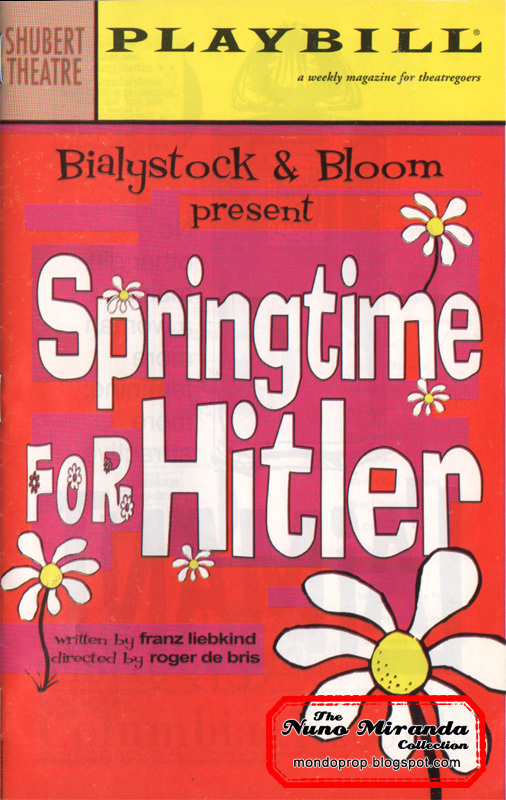 The last and perhaps most important factor in the success of “Springtime for Hitler” as a fictional good-bad smash is entirely the fault (or credit) of Bialystock and Bloom: the assembly of the “Springtime for Hitler” creative team. In general, all of the decisions that the producers made in the creation of the “Springtime for Hitler” team were big, obnoxious, and loud: they couldn’t settle a bad, boring script; it had to be the worst, most offensive script. They wouldn’t take a mediocre director, they wanted the absolute worst. Their Hitler had to be the most atrocious Hitler since the actual Hitler. Arguably, if they had settled in any one of those categories, the flop may very well have been assured. What led the producers to going so over the top with their assembly, though? Why go for all of the biggest personalities and extreme outliers? The obvious answer is that they wanted a guarantee of failure, but I think it goes a little deeper than just that. At the beginning of the story, it is made clear that Bialystock had been producing flops for years, with Broadway success just a fading memory from his distant past. When Bloom reveals the theoretics of the flop scam that ultimately drives the film, there is a perceptible change in the character of Max Bialystock. His desire for failure brings back the drive and ambition that he had clearly been missing, and was almost surely what made him successful in the first place. This is particularly driven home in the musical adaptation’s number “The King of Broadway”, which paints a clearer picture of the pro-Bloom, downtrodden Bialystock. In essence, Bloom’s scam reawakens Bialystock’s motivations, and he is once again driven and capable of assembling a team. While he tries to build something to fall apart, I think he underestimates himself: despite his many flops, he lacks the innate ability to create failure, which is something he wrongfully believes to be the case. His failures, as much as the audience sees of them, come from a place of apathy. The mere fact that he is expending energy and displaying passion for “Springtime for Hitler” is the kind of intangible that can positively effect a production. Just looking at the way he desperately courts and pleads with Roger De Bris and Franz Liebkind is intriguing when viewed from this perspective. They don’t know why, but they know that something about “Springtime for Hitler” has Bialystock exited to produce again. Remember: no one other than the producers know about the scam until after opening night. For all they know, this script has genuinely reignited Max Bialystock. 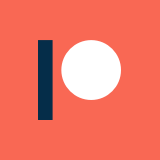 That’s all for today’s (Plot)opsy Podcast here at Misan[trope]y Movie Blog! Be sure to like Misan[trope]y Movie Blog on Facebook, and subscribe to the (Plot)opsy Podcast on iTunes. That way you’ll never miss a new post!